Sunny days are here, so prepare yourself for summer outings with sunglasses made to tackle your biggest adventures. UV protection is necessary every time you step outside, but there are even more ways to protect your eyes from the glare and bright conditions that come with the great outdoors. Sunglasses can help prevent squinting, discomfort, and eye strain caused by the sun—but not all sunglasses are created equal. We’ll compare two types of eyewear—polarized and photochromic sunglasses—to see how they perform in sunny situations. What’s the difference between polarized and photochromic lenses? Polarized lenses are engineered to block light that bounces off surfaces like cars and water in the form of horizontal wavelengths—preventing glare. When you’re looking for glare reduction and crisp vision for sports, driving, and outdoor activities, polarized lenses may do the trick. 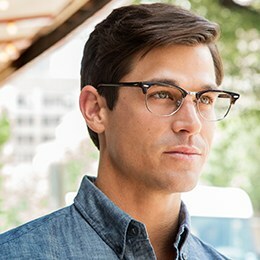 Filtering these wavelengths decreases strain on your eyes, so you are more comfortable in bright, high-glare environments. Polarized lenses don’t offer protection from UV rays on their own, so you’ll need to make sure the pair you pick offers 100% UV protection. They’re not ideal for all conditions—polarization can make it difficult to see your phone or GPS screen, and pilots usually aren’t allowed to wear them while flying. When things get chilly again, polarized lenses can make it difficult to see icy patches on the slopes. Some people experience nausea or dizziness while wearing polarized lenses, and others simply prefer non-polarized lenses. Photochromic sunglasses lenses automatically adjust to the light conditions so the ideal amount of tint can pass through the lenses. If your activities bring you through varying light conditions, photochromic lenses—also known by the popular brand name Transitions lenses—might be the right pick. While a darker tint doesn’t mean more UV protection—only the UV treatment on the lenses dictates that—it does mean your eyes are as comfortable in the bright morning sun as they are on a slightly overcast day because the tint adapts as necessary. Most photochromic lenses are not ideal for driving as windshields block the UV light that causes the lenses to darken. While photochromic lenses are commonly associated with prescription eyewear, photochromic sunglasses don’t turn completely clear and are not suitable for indoor use. Photochromic lens performance may decline after a few years, making them slower to respond. Are polarized or photochromic sunglasses better? When trying to choose between photochromic or polarized lenses, first take a look at when you use your sunglasses. Do you expect to use them for driving, hiking, jogging, or fishing? Polarized lenses might be the right choice for your lifestyle. If you will be skiing, using a smartphone or camera display, or flying a plane, they’re probably not the best pick. Though the convenience of photochromic sunglasses lenses is ideal for changing light conditions, they may not work behind the wheel and aren’t going to be as effective in reducing glare. But, if both will work for you, you don’t have to choose—many photochromic sunglasses have polarized lenses, giving you photochromic polarized sunglasses. 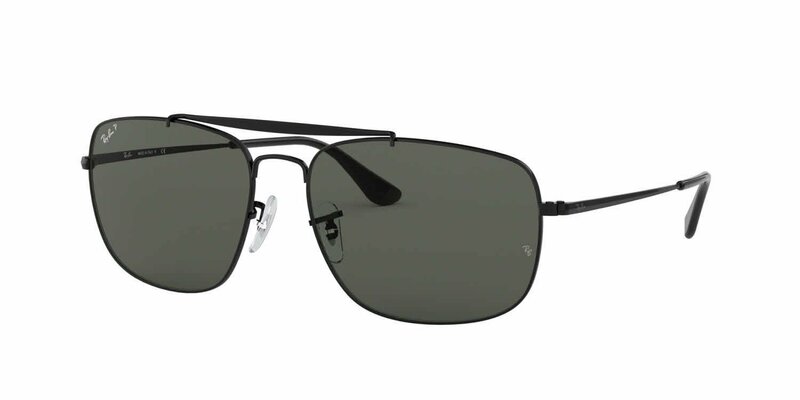 They’ll block glare and adjust to changing light conditions so your eyes are always comfortably protected. 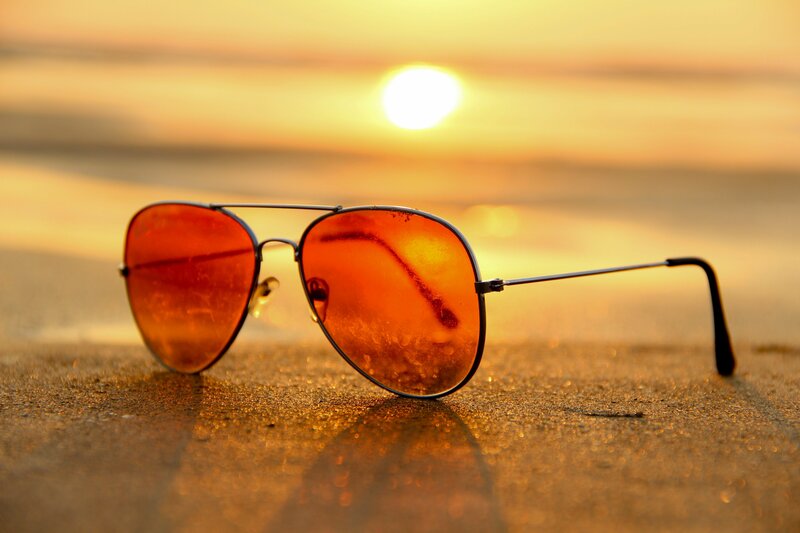 Depending on your lifestyle and where you intend to wear your sunglasses, you may choose a pair of polarized photochromic lenses like the styles from Serengeti or Oakley. Whether you’re on the water, trail, road, or elsewhere, sunglasses are a must-have to protect your eyes and keep you from squinting against bright conditions. Polarized or photochromic lenses—or both—prevent eye strain in a variety of circumstances so you’re able to have the ideal protection anywhere you wander. These lenses, paired with 100% UV protection, keep your eyes comfortable and healthy year round.